Video content is the fastest growing type of content today. Since 90% of consumers say that product videos are integral to their purchasing decision process, marketers worldwide are allocating more and more of their budget to video content creation. YouTube is the original video hub, and remains to this day the largest video host on the web. As such, it’s crucial that you utilize this platform and follow the performance of your video content through a DashThis YouTube dashboard. Create your Youtube dashboard today! This number widget shows the number of comments your YouTube video content received. This historic widget shows the approximate number of minutes your YouTube video content was watched for. 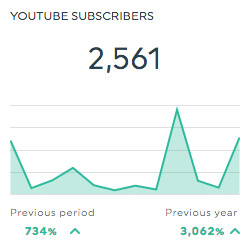 This historic widget shows the number of views your YouTube video content received. This historic widget shows the number of subscribers your YouTube page has. Want to see all our YouTube preset widgets? This is the average amount of time (in seconds) your video content is viewed for. 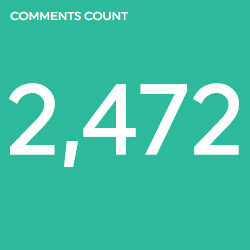 This is the total number of comments your video content received. This is the total number of fans your YouTube page has. This is the total number of likes your video content received. This is the total number of subscribers your page gained over a particular period of time. 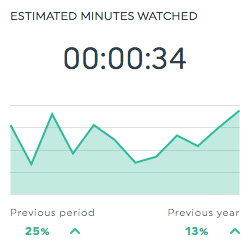 This is the total amount of time viewers spent on your site. 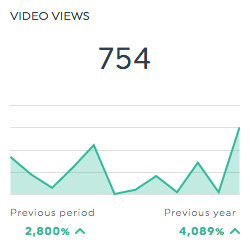 This is the total number of unique visitors your video content page received. This is the total number of visits your video content page received. This dimension allows you to isolate your data based on the type of device used to view the content. This dimension allows you to isolate your data based on the title of the video content. Want to see all our YouTube metrics, segments & dimensions? How do I create a dashboard using the YouTube Analytics API?